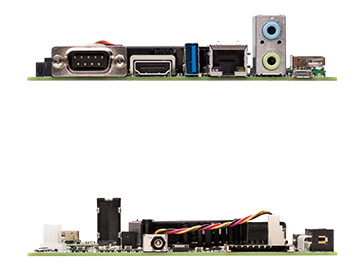 The NVIDIA Jetson TK1 development kit gives you everything you need to unlock the power of the GPU for embedded applications. It’s built around the revolutionary NVIDIA® Tegra® K1 SOC and uses the same NVIDIA Kepler™ computing core designed into supercomputers around the world. This gives you a fully functional NVIDIA CUDA® platform that will let you quickly develop and deploy compute-intensive systems for computer vision, robotics, medicine, and more. NVIDIA provides the entire BSP and software stack, including CUDA, OpenGL 4.4, and the NVIDIA VisionWorks toolkit. With a complete suite of development and profiling tools, plus out-of-the-box support for cameras and other peripherals, NVIDIA gives you the ideal solution for helping shape the future of embedded.